Are you a current client? Welcome back! Here at Vinfillment, our goal is to ensure your wine arrives at your customer's door in perfect condition. That is why we insist on picking, packing, and reinforcing every order by hand. A shipping label doesn't even touch a package until it's been triple-checked for accuracy. Also, our elite customer and client services supports our commitment to excellence. And it is why we are the preferred fulfillment provider to the highest echelon of wineries in the valley. Our warehouse maintains the latest in security and energy conservation technology. Rest easy with the knowledge that your inventory is monitored and kept at its optimal temperature year-round. When it comes to transit, sometimes even the slightest hiccup can seem overwhelming. Rest assured our customer service team is available to both you and your customer, every step of the way. We pride ourselves in being familiar with creating direct API connections. We’re masters in ShipCompliant, Vin65, and Cultivate Systems. Whatever your platform — we’ve got you covered! Our user-friendly client portal allows 24-7 online access to order statuses and inventory reporting. So now you can get the information you need, when and where you need it. To preserve wine quality, our team monitors the weather along the transit route and destination. If an order goes on weather hold, your customer will receive an immediate notification. We can’t predict the weather, but we’re experts at shipping during the most ideal temperatures. We know branding is important. Which is why we insist on offering you options to reflect your brand standards. Whether its your packaging, email confirmations, shipping notifications — all will represent you. We maintain round-the-clock building surveillance because our top priority is keeping your inventory safe all year round. We are conveniently located in the heart of the wine country within the Hanna Court Wine Campus. Our flexible loading docks offer easy access loading, and can accommodate both small vehicles and large trailers. We utilize the latest technology in energy conservation to keep our warehouse at the ideal temperature of 55°F — 58°F year round. Our experienced team of dedicated professionals are here to provide you and your clients with exceptional service. VinFillment is located in the Hanna Court Wine Campus, which is home to a suite of premium wine service companies — all under one roof. You can handle all of your direct to consumer, direct to trade, long term storage, and specialty packaging needs without your wine having to leave our temperature-controlled building. 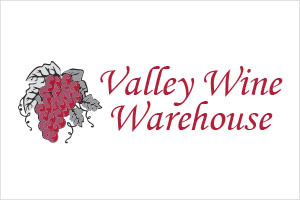 Welcome to Valley Wine Warehouse: The highest level of professional expertise and customized service for wine storage and distribution. 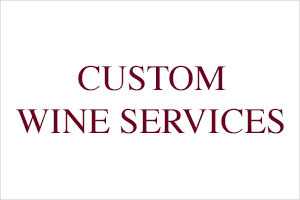 Since 1989, Custom Wine Services has offered California competitive rates and reliable customer service, without the excessive administration fees and hidden charges commonly seen in the industry. With locations in Southern and Northern California, we are able to deliver to accounts statewide. 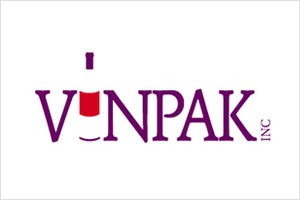 From grape to glass and every step in-between, Vinpak Inc. helps its distinguished clientele store, package and safely deliver products with the superb quality and care each bottle deserves. Vinpak is conveniently located just south of Napa Valley in American Canyon, California, providing packaging for some of the area’s most recognized labels. 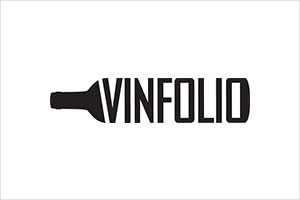 Vinfolio is your trusted partner in fine wine. Created by passionate collectors with decades of experience, Vinfolio fully understands and embraces the needs of the wine aficionado. We combine proprietary technology with exceptional service to help serious collectors manage every aspect of their wine collection. 644 Hanna Drive Suite A. Copyright © 2019 Vinfillment | Theme by SiteOrigin.